The earthquake and tsunami that hit Japan in March 2011 caused enormous damage and took away many lives. Moreover, the nuclear power plant disaster in Fukushima continues to threaten many people's health and lives. Our thoughts and sympathies are with those who are still suffering from the consequences of this tragedy, and those who lost their friends and family members. earthquake,Tsunami and nuclear disaster related victims. 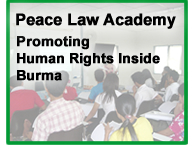 and briefing sessions with United Nations human rights experts. 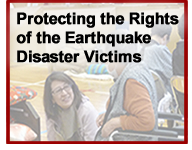 that the rights of the victims are protected.